Merry Meet my friends! Hope you all are well and enjoying your Summer (or Winter depending where you live 🙂 . We have been having an amazing couple of weeks of cool, breezy, gorgeous weather. I am not a fan of HOT weather so I am loving this so much. We have had a nice amount of rain here too..enough to keep everything green and lush, growing and blooming. 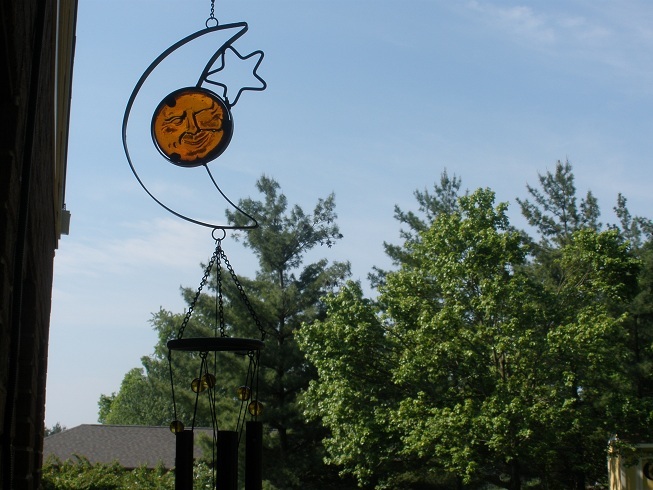 I love sitting out on the porch in the evenings with a glass of wine and watching the fireflies flitting, hearing the frogs croaking and crickets chirping, the windchimes softly chiming. The nights feel soft and gentle to me and all seems right with the world in that moment. Believe it or not, the days are getting shorter and Autumn is on it’s way. Soon, on August 1, we will be celebrating the first Harvest festival of the Wheel of the Year. 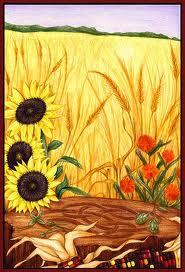 It is Lughnasadh (prounounced loo-na-sa), known also as Lammas, or Lammastide, the first of three Harvest Festivals. This Sabbat marks the ending of summer and the first harvest of the grain. It was known as the time when the plants of Spring wither and drop their fruits or seeds for our use as well as to ensure future crops. Lughnasadh is named for Lugh, the Celtic deity who presides over the arts and sciences. According to Celtic legend, Lugh decreed that a commemorative feast be held each year at the beginning of the harvest season to honor his foster mother, Tailtiu. 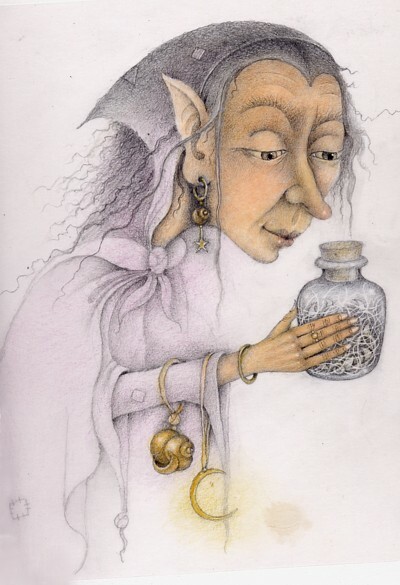 Tailtiu was the royal Lady of the Fir Bolg..an older race that was defeated by the Tuatha De Dannan. After the defeat, she was forced by them to clear a vast forest for the purpose of planting grain. She died of exhaustion after it was completed. She was buried beneath a great mound named for her, the hill of Tailtiu. 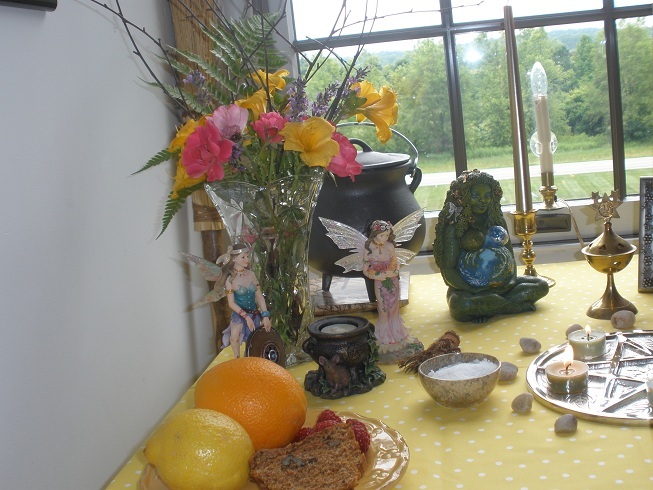 The very first feast of Lughnasadh was held in there. At this gathering there were games and contests of skill as well as a great feast made up of the first fruits of the summer harvest. When Christianity arrived in the Celtic lands, the old pagan festival of Lughnasadh took on Christian symbolism. Loaves of bread were baked from the first of the harvested grain and placed on the church altar on the first Sunday of August. The Christians called this feast Lammas or “loaf mass”. 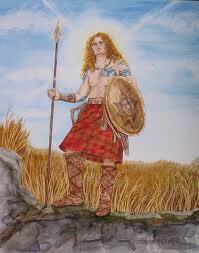 *Symbolism- Celtic grain Festival, first harvest festival, The aging of the Sun God, Autumn’s arrival. *Symbols/Tools/Decorations- Corn, cornucopias, red & yellow flowers, sheaves of grain, First fruits/vegetables of garden labor, corn dollies, baskets of bread, cauldron, Sickle, scythe, harvested herbs, bonfires, sacred loaf of bread. 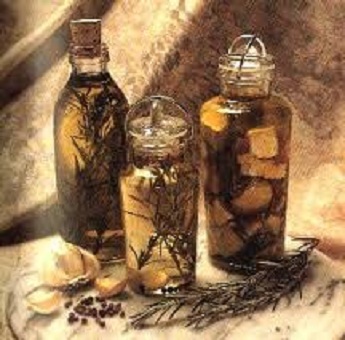 *Herbs- All grains, heather, apples, pears, cornstalks, frankincense, sunflower, wheat, oak leaf, hollyhock, myrtle. *Incense/Oils- Wood aloes, rose, rose hips, rosemary, chamomile, eucalyptus, safflower, corn, passionflower, frankincense, sandalwood. *Colors- Red, orange, golden yellow, green, light brown, gold, bronze, gray. *Crystals/Stones- Aventurine, citrine, peridot, yellow diamonds and citrine, carnelian. 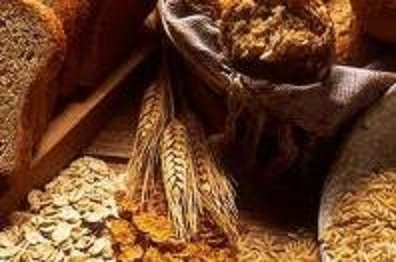 *Foods- Loaves of homemade wheat, oat & corn bread, barley cakes, corn, potatoes, nuts, acorns, summer squash, wild berries, apples, pears, elderberry wine, crab, grapes, cider, beer. 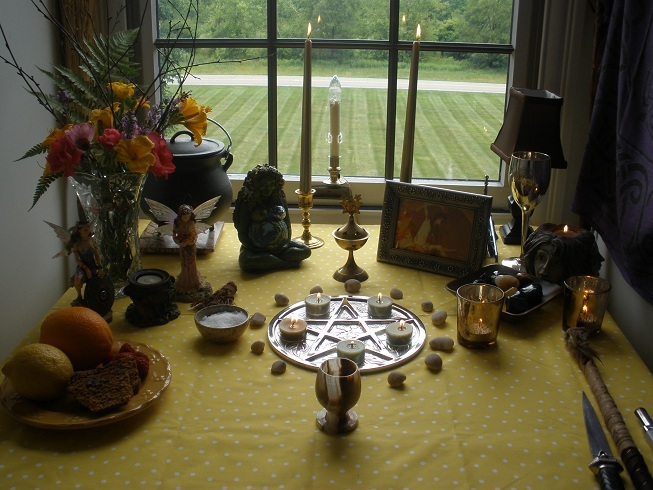 There is so many ways to celebrate this wonderful Sabbat. Have a feast with your family and friends..outside while the weather is still nice. Fix lots of fresh veggies and fruits, they are great grilled on the grill 🙂 Have a bonfire, drink wine! Go to a medieval fair or craft show..this time of year they are everywhere. Go on a picnic and enjoy the warm weather. 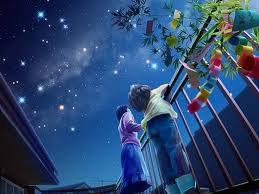 Lay on a blanket under the stars and find the constellations, watch for shooting stars. Catch fireflys and let them go. 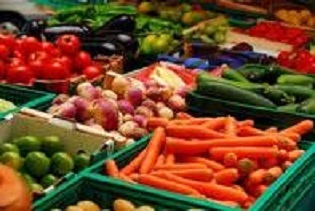 Don’t have a garden of your own, visit a farmer’s market or produce stand! Make a big bouquet of flowers and bring it in or better yet, give it to an elderly neighbor to enjoy. 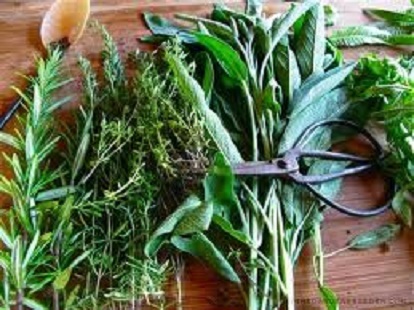 Harvest herbs from the garden, and make flavored oils and vinegars to keep a taste of summer in your pantry all winter long. They would make great Yule gifts as well. Have a bread baking day with your family. Put grains, fruits and nuts in the bread and send a loaf home with everyone. Make corn dollys. 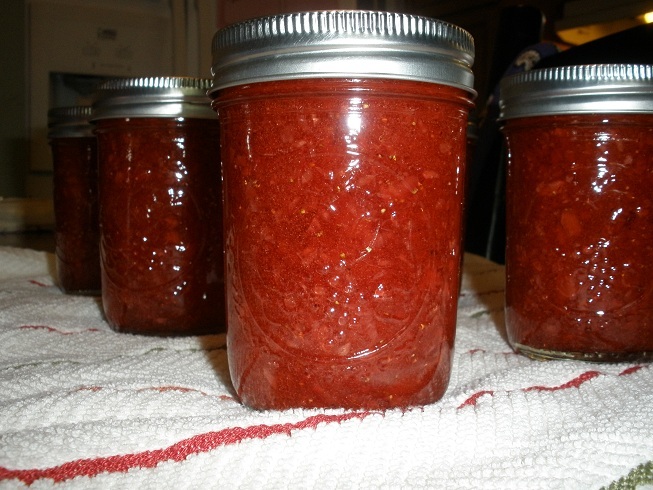 Make fresh fruit jams, jellies or preserves, or can veggies. Plan a “tournament” of corn hole for the kids, or croquet, or kickball…playing games is just what the Celts did! 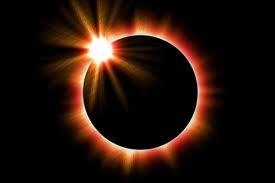 I will be posting recipes, rituals etc over the next few weeks for this Blessed Sabbat! 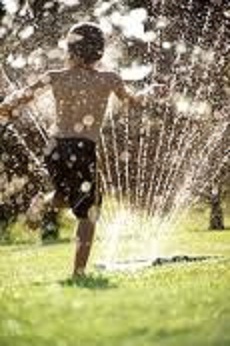 For now, Summer is in full swing so enjoy every minute of it….I hope your gardens are blooming, that you are active, outside, feeling energized, enjoying the Sun every chance you get! Remember that time flies, so savor every moment 🙂 Grab onto that Sun and don’t let go!! *Sources Simple Wicca by Michelle Morgan, my BOS, the internet. Pics from the internet..Jam jar picture is my own. Merry Meet friends! 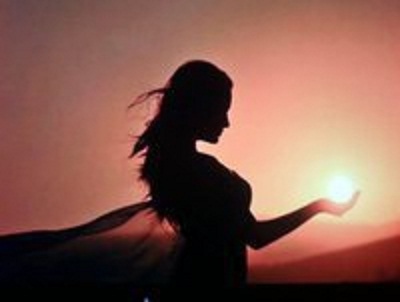 Tomorrow is Litha or Midsummer or the Summer Solstice here in the Northern Hemisphere. I have written a lot here in the last month about Litha. 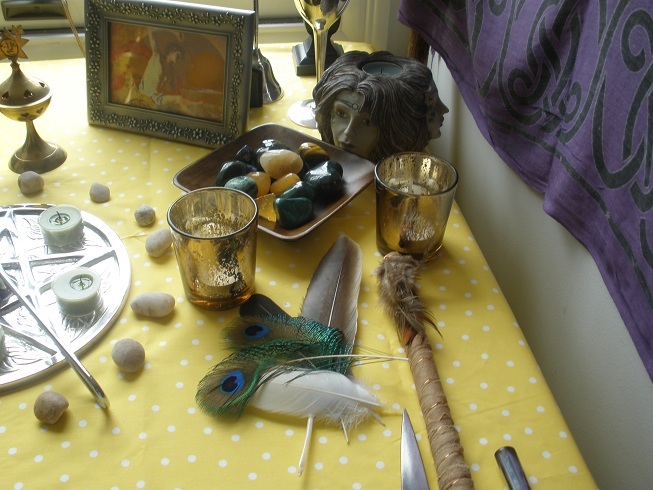 Pics of my altar, recipes for food and oil and incense, the Correspondences, Rituals for protection and ideas on how to celebrate this fun day. 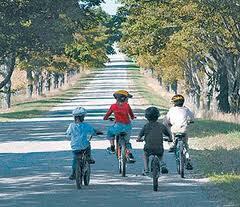 Remember, it is the longest day of the year and now the days will start shortening as we head towards winter. LOL..yes, though it seems we just came out of winter, it will be upon us quicker then we realize. 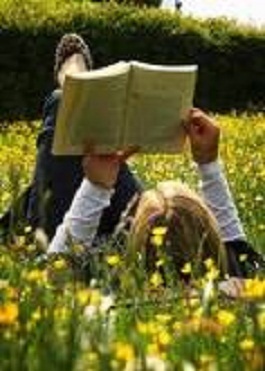 In the meantime, we celebrate the sunlight, the long, lazy, hot days, the blooming gardens and woods, fireflies at night, warm summer rains, and star-filled summer nights. 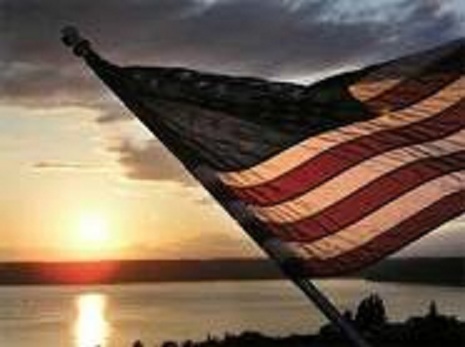 We celebrate with picnics and cook-outs, with swimming in pools, oceans and lakes, laying under a tree in a hammock reading a good book, wearing light clothes and eating ice cream. Family vacations, drive in movies, being outside rather then inside. Working in our gardens, eating fresh veggies and fruits like watermelon, catching lightning bugs and hearing the drone of crickets at night. 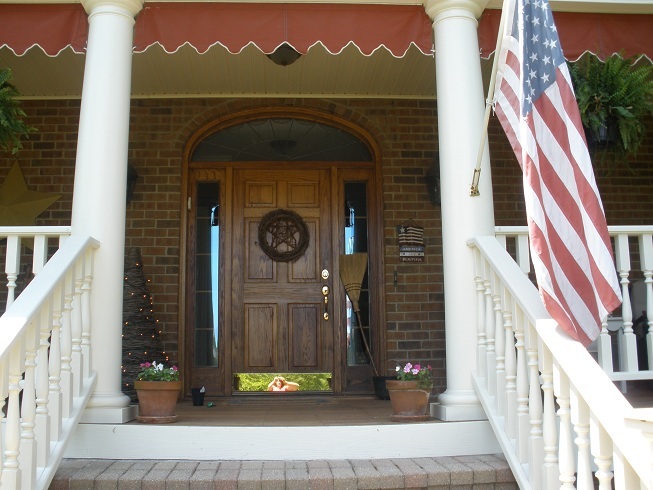 Screen doors and windows open, fans going to catch the breeze, porch sittin and lemonade drinking…..Summer!! Wonderful Summer! I remember spending a whole week with my grandparents where Summer was even more magickal! I believe much of my love of Mother Earth came from my grandmother. 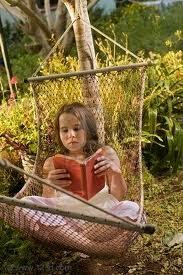 They had a very large garden, apple and crabapple trees, 10 acres to play on, hammocks for every grandchild, a tree swing. They had croquet and horseshoes, trees to climb. My grandfather would load us up in a tractor wagon and pull us around the yard in it. We helped grandma shell peas and snap green beans. Trips to the library resulted in hammock time with good books and pink lemonade and homemade cookies under the shade trees. We almost always fell asleep. 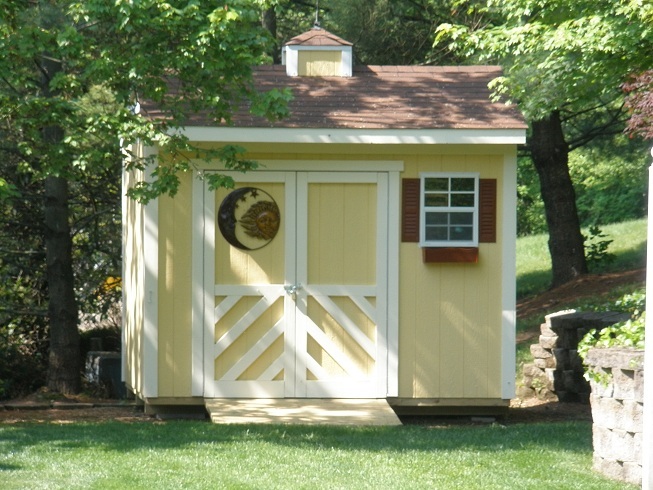 I remember waking up on sunny mornings, doves cooing outside the bedroom window and amazing smells of breakfast cooking. My grandma standing at the sink in her housedress and apron she always wore, the sink filled with sudsy water, curtains blowing in the window over the sink. The table was set for a feast…with fresh veggies from their garden. Sliced red tomatoes, green onions and red radishes standing in a glass of ice water, rhubarb sauce and apple sauce, crabapple jelly with warm-from-the-oven bread. Every meal was like a 7 course dinner LOL. 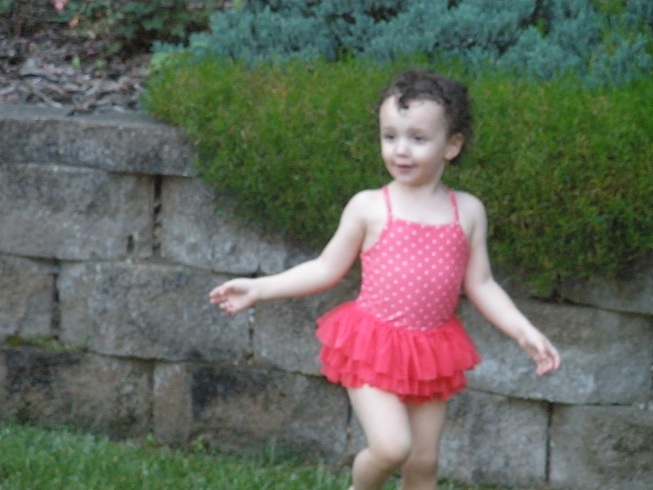 At night, it was baths with a healthy pounding from grandma’s powder puff (nobody uses those anymore do they), clean summer jammies…then ice cream and a cookie before bed. *Sigh* It was so peaceful there…I will cherish those memories forever. 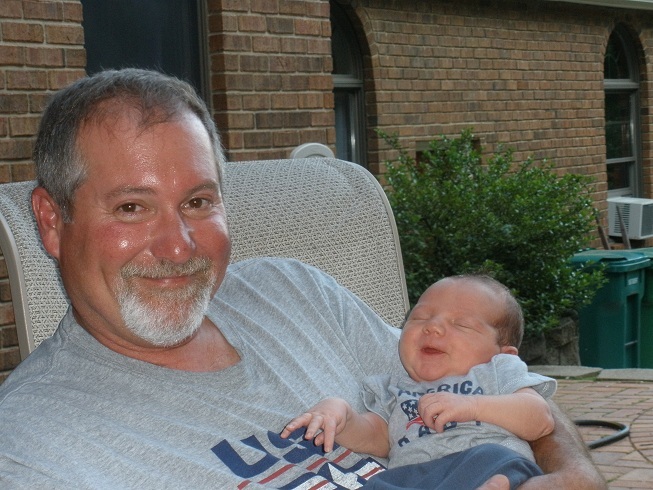 The best things we can do for our children?…to give them the same thing! Nowadays it seems kids don’t go out and play. I rarely see it anymore. 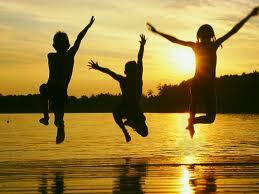 Kids are too busy anymore to just be kids. They are sitting in the house in front of the tv or computer or play station instead. Or they are so busy with extracurricular activities that they don’t have the time to just lay in the grass and look at the stars or to go play a game of kickball with the neighbors. I think that is a real loss in our society. I did the best I could to give my kids the same thing I had. Those long summer day memories of doing everything..and nothing 🙂 My daughter is ensuring that my grandkids will have the same thing. As they get a bit older, it will hopefully be memories of Nana’s house (me!) in the summer that they will talk about in their future! I know more parents, especially mom’s have to work these days and things have changed so much. 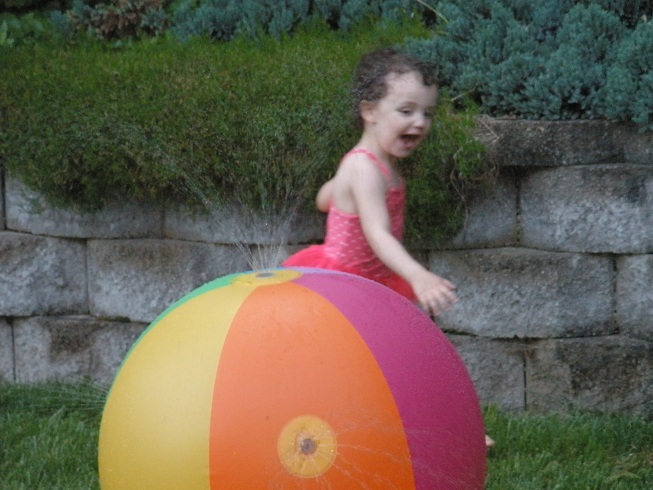 But I would encourage you to help your kids to find a bit of the lazy hazy Summertime whenever you can! You will make the most fantastic memories for them and something they will pass on to their own children..so we never lose it! 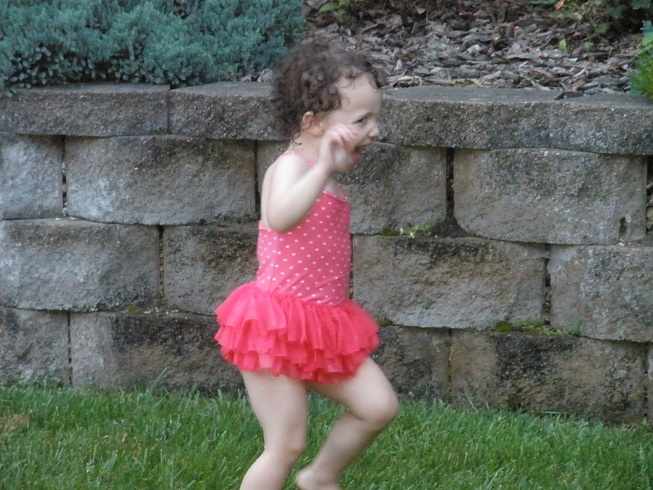 Keep Summer simple, fun, outdoors….give your kids the time to be kids. 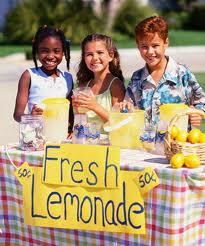 Summer passes fast and they will be back in school before you know it. Summer Solstice is but the first day of Summer….a great day to set your mind to making it a great season for you and your loved ones! *Sources….all the pictures are from the internet…..
Merry Meet friends! Well Summer has hit here in Ohio with a loud HOT bang! We went from weeks of cool, stormy weather to 95* Hot and steamy days. That is just the way it is here in Ohio. The good thing about the hot weather though was that finally the ground dried up and we were able to get out and get dirty working in the yard! 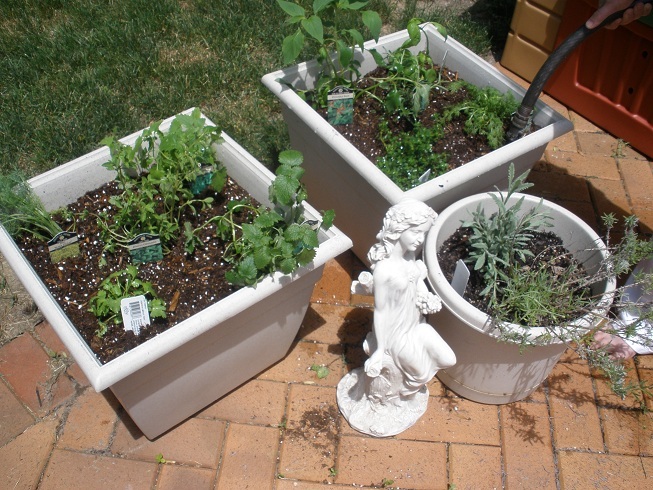 I got my herbs planted in pots and scattered around the yard. 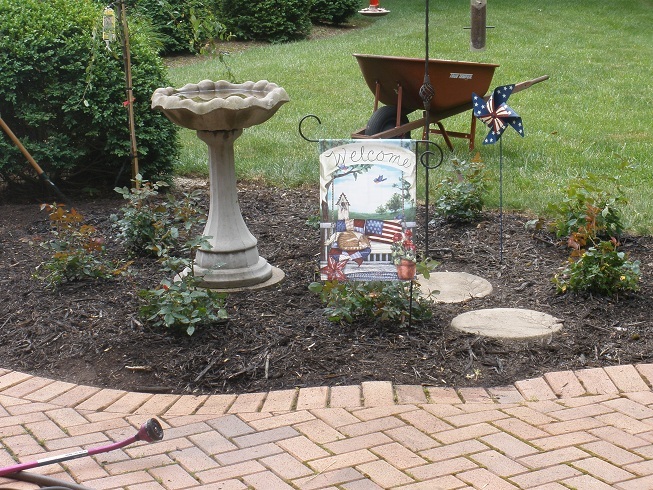 We re-did a whole bed in our backyard adding a Weeping crabapple tree and some red-pink knock -out roses. 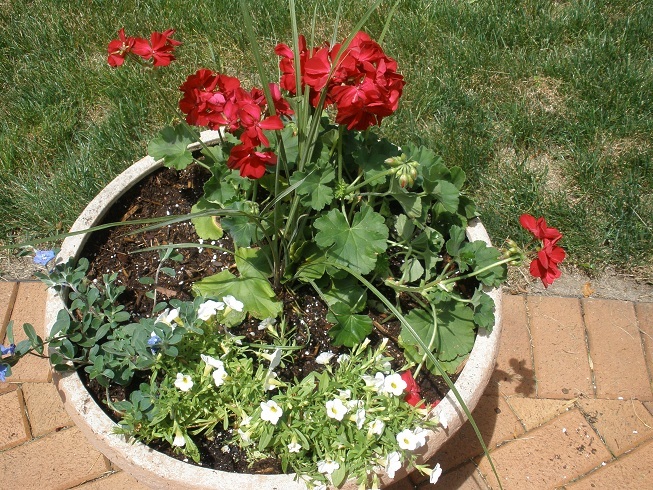 I planted patio pots with a red/white/blue theme this year that has the most gorgeous deep red geraniums. There are now rows of impatience in our front beds, with rosemary and lavender for protection and luck. We still have some space at the side of the porch we want to plant some holly bushes and a couple of hydrangea bushes..one of my favorites. 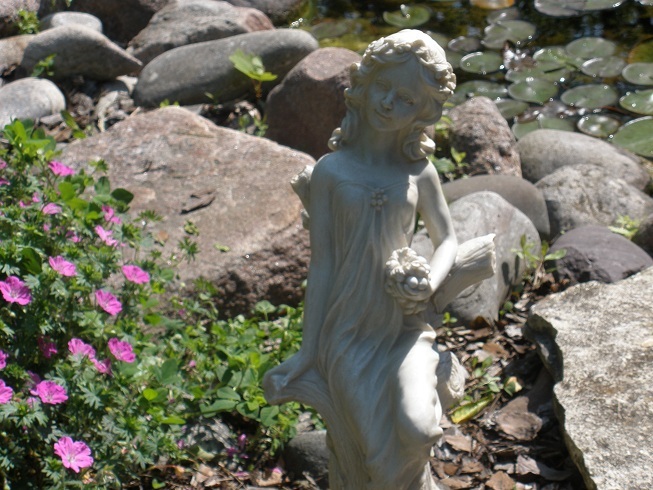 I am trying to talk hubby into removing a few excess boxwood bushes in the backyard so I can plant a moon garden….white flowers and silvery greens that will glow in the light of the moon. He isn’t crazy about the idea but I’m working on him LOL ! I will talk him into it for sure! Here’s a few pictures…..
Litha or Midsummer is coming up fast now and I need to get busy getting ready. I’m on the search for the perfect altar cloth to get my altar ready. I also am starting to collect items I need to make my witch’s protection bottles. I do these every year at Litha. Because it is warm out and I can be out at night and be warm and comfortable, I think it’s the perfect time to set out new protection for my home and those I love who dwell within. If you haven’t ever done a witch’s bottle, you should seriously think about it. I feel part of my practice is to protect what is mine and what I love and as a Witch I have the capability of doing that. I like to think of myself as a Warrior Witch..ready to do battle to keep evil away from my door! Witch’s Bottles have been in use in England and the United States since at least the 1600’s. Spell bottles were originally created to destroy the power of an evil magician or witch thought to have cast a spell against the bottle’s creator. 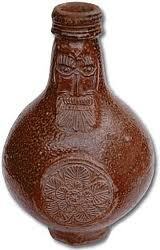 They were often ceramic vessels and some had a face on them. They were also walled up into new homes as magical guardians. Spell bottles of this type continued to be used well into the 19th century. These bottles were apparently of English origin. Still, one example made from a glass wine bottle dated at 1740-1750 was found in Pennsylvania in 1976. And so, such protective devices certainly found their way from England to the United States with the colonists. There are over 200 Witch’s Bottles in known museums and they continue to be dug up during construction or gardening projects. 🙂 I always hope I’ll come across one sometime! LOL! The ceramic type of bottle is not made anymore so now it consists of a container, usually glass, filled with various objects of magical potency. -A Sturdy, clean, wide-mouthed bottle or jar with a tight lid. 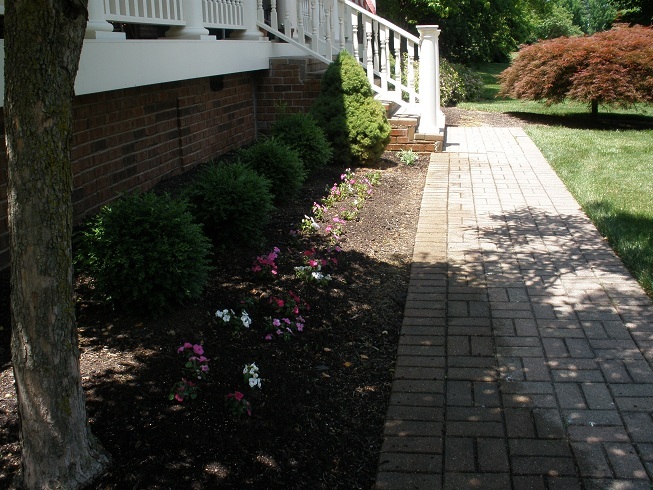 -Soil or sand from the area surrounding your home. according to free will and for the good of all. I now fill this bottle. Earth anchors this magick in the ground. This rusty nail, bent, now repels anything and anyone negative or life-denying. The sparkling, shiny small pieces of crystals hold the light for me and my deities. A broken piece of glass to deflect harm to anyone it is intended for. Thyme for health, love, and courage. This new penny manifests abundance in my home. Hair from my beloved pets to protect them. Hair from my loved ones who dwell here, to protect and draw away negativity. This home is divinely protected and effectively safe. Can stay here, can visit, can touch this place. According to free will and for the good of all! And so mote it be! By the time you have finished this spell, the bottle should be buried. Cover with leaves or something appropriate to make it truly invisible. Under the ground, it will continue to work until you choose to remove it. 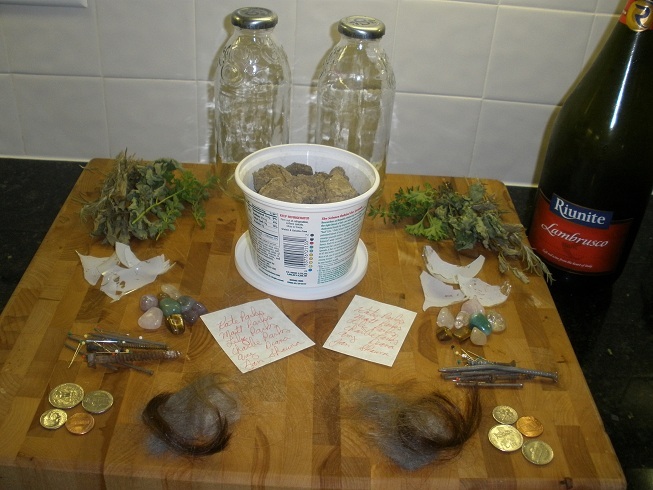 I love this spell….on a Full Moon Night..burying a jar filled with lovely witchy items….it is magickal indeed! 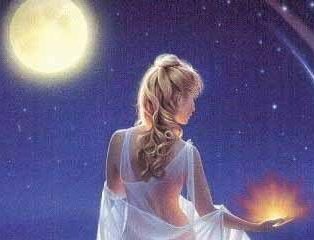 After I’m done with this ritual I spend time with the Moon Goddess while the candle burns down a bit. You can also draw a pentacle in the air over the burial spot with your wand, or protective runes for some added protection. In this witches bottle of mine. Visualize these doing just that. Then pour in the red wine. Then cap or cork the jar and drip wax from a red or black candle to seal. 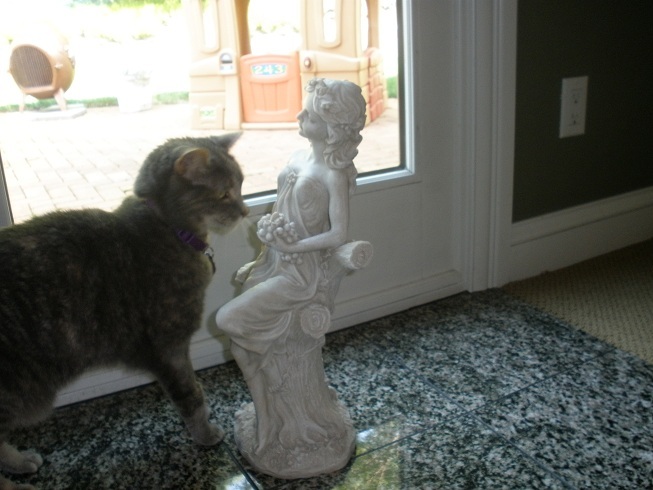 Bury it at the farthest corner of your property or put it in an inconspicuous spot in your house. Draw the banishing pentagram in the dirt above it. The witches bottle destroys negativity and evil ; the pins and needles impale evil, the wine drowns it, and the rosemary sends it away from your property. 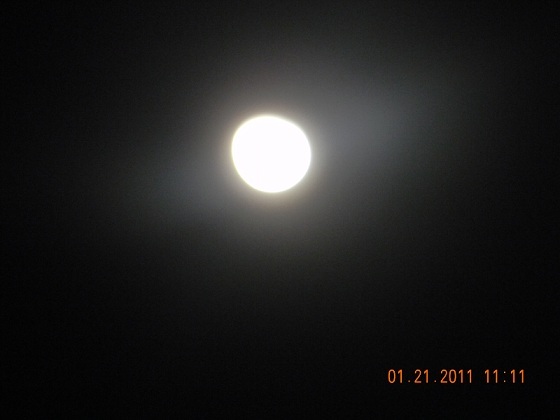 I hope you take the time to do this on this next Full Moon..right before the Solstice. You will love the ritual of it and you’ll feel great about the Power you have as a Witch to put out protection for those you love most and the home you care for. 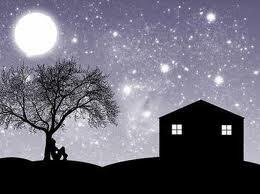 I will be out on that night ..right with you all…. Soon, I’ll post pics of my altar and I’ll post pics of my witches bottle items as well. Til then, Have a blessed weekend!